When we are wandering in our RV, home is wherever the fifth wheel is parked. Our real home in coastal Georgia is surrounded by salt marsh, creeks, rivers, palm trees, palmettos, and Spanish Moss draped live oak trees. It’s where I’ve lived for over half my life and where we raised our children. This is my post for today’s assignment: Home. Beth…I look forward to some of those additional photos ….I have enjoyed your blog, girl. ….keep it comin….Barb and I are currently in Gulf Shores, AL at the state park until Wednesday and are then heading east to Holt, FL for a week and then moving further eastward toward the Orlando area…We have reservations at Ft. Wilderness for the first 10 days in December and are flying our daughter/son in law and our two grandbabies (ages 5 and 10) down from Atlanta to take them all to Disney World. ..none of them have ever been so it should be a great time….we rented them a a 2 bedroom cabin at the campground for a week so that they could have some alone time and their own living quarters while they were down there, but still be close enough to us as we go from day to day into the theme parks…. I love Fort Wilderness! We spent a week there a few years ago to enjoy Disney World with 2 of our grandchildren who were 3 and 5 at the time. Did you read my reply about being at Gunter Hill the same time as you? It’s such a small world. I’m intrigued with your lifestyle. I am sure you have met a lot of interesting wonderful people and seen some very beautiful places. Julie, we have seen been to some amazing places but there is still a lot to see! We love meeting new people along the way. We still keep in touch with a few friends we have met in our travels. We will be home most of the month so thought I would give it a try. So far I’m enjoying it. I hope I’ll be able to post every day. I’m glad you are looking forward to the photos. Beth, what a lovely place to call home! 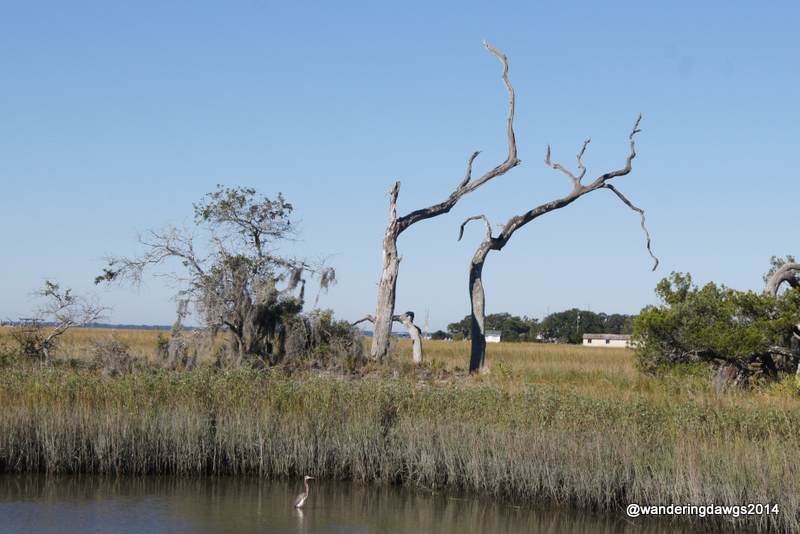 I call this the bird tree because we frequently see egrets, herons, and wood storks perched on the branches.